A Washington state man has left a fortune worth $187.6 million to charity, after spending his life keeping his wealth a secret by coupon clipping and riding the bus. 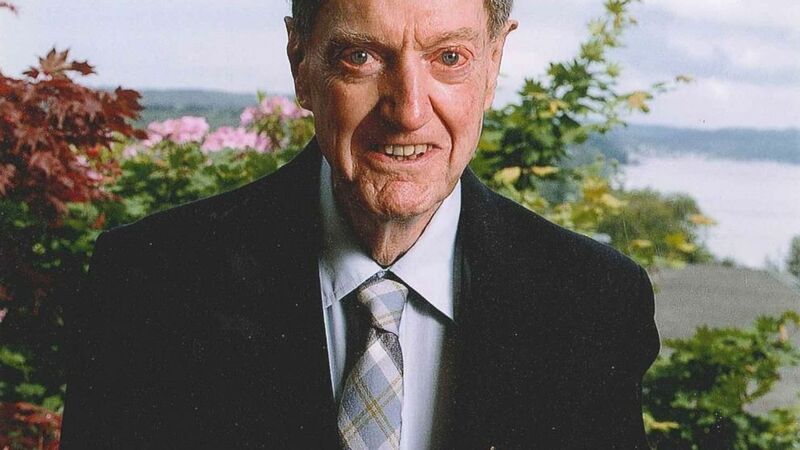 Jack MacDonald, who died at age 98 in September, left his fortune to Seattle Children’s Hospital, the University of Washington School of Law and the Salvation Army. MacDonald’s family says few people outside his immediate family knew he was wealthy. MacDonald, who worked as an attorney for three decades, was able to amass his wealth by investing money he inherited from his family. He had no biological children of his own and his wife, whom he married in 1971, died in 1999. Doug Picha, the president of the Seattle Children’s Hospital Foundation, knew MacDonald for 30 years and said in spite of his wealth, MacDonald lived in a modest one-bedroom apartment and never showed off his fortune. Apparently MacDonald would often visit multiple grocery stores to take advantage of deals and one time bought so many cans of frozen orange juice on sale, he needed to find an additional stand-alone freezer to fit them all. Picha said MacDonald prided himself on “shepherding” the money from his family inheritance through the stock market so that it would be used for charities after his death. Picha said a few of the charities had a special connection to MacDonald. MacDonald’s mother was a volunteer at Seattle Children’s Hospital and after her death MacDonald became more involved with different hospital events over the years. He was also a graduate of the University of Washington Law School. The $187.6 million gift will be given through a trust. The three organizations will receive a portion of the income earned from the trust with 40 percent going to support pediatric research at Seattle Children’s Hospital and 30 percent going to student scholarships at the University of Washington School of Law. The Northwest Division of the Salvation Army will receive a portion of the interest of the trust or $2.8 million in the first year. Picha said a few years ago he remembered MacDonald’s stepdaughter asked him what he would like to be remembered as.